This set of poses will set the mood for Valentine's Day or the day of your own special moment. 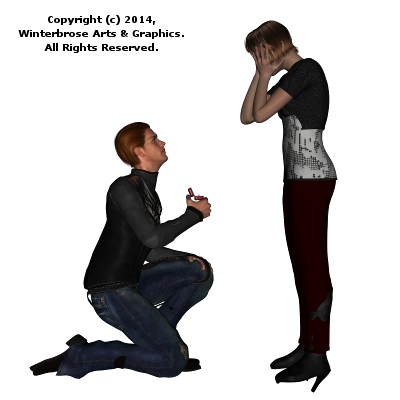 Make your own custom render to create that magical feeling of awe we all get when a marriage proposal is made. 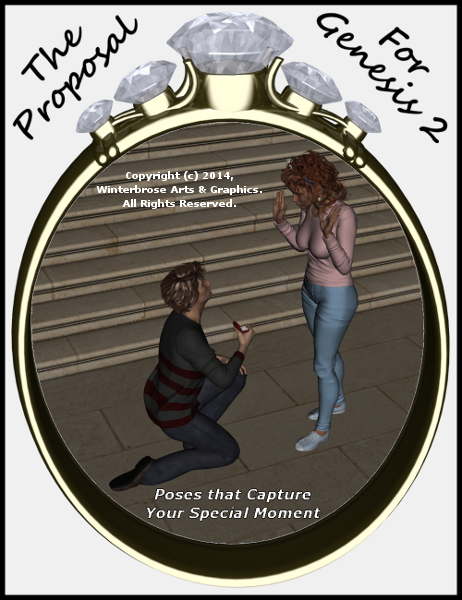 Set includes 16 "making the proposal" and "awe means yes" poses. There are kneeling, standing and sitting poses for both the Genesis 2 Male and Genesis 2 Female figures. This set designed for use with DAZ Studio 4+ and is provided in .DUF format. 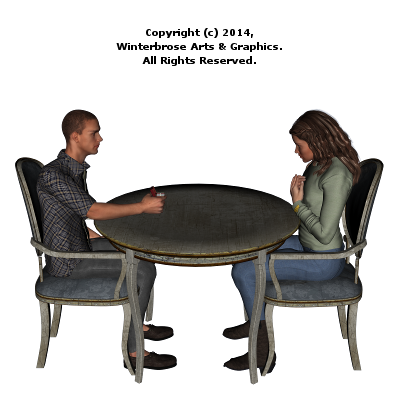 Simply save them into your DAZ Studio Library and they will show up in the Content Library tab under the Poses folder in "The Proposal" folder for the Genesis 2 Male and Genesis 2 Female figures. 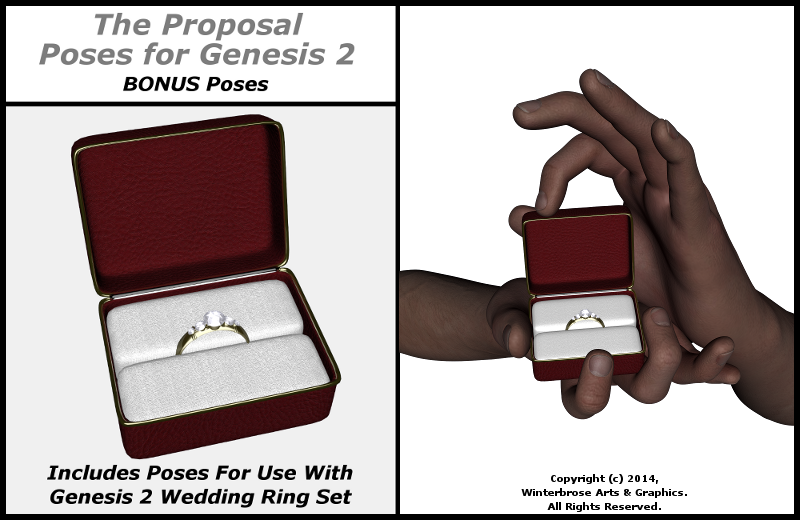 Poses included for use with the Box and Ring for Genesis 2 Wedding Ring Set. This set was created using the Genesis 2 figures without any character(s) applied, but can be used with any character for Genesis 2 though minor adjustments to props or poses may be necessary. It incudes a full set for each gender; 8 Male poses and 8 Females poses. This rendered scenes above were created using Michael 6 (M6) and Victoria 6 (V6) characters.